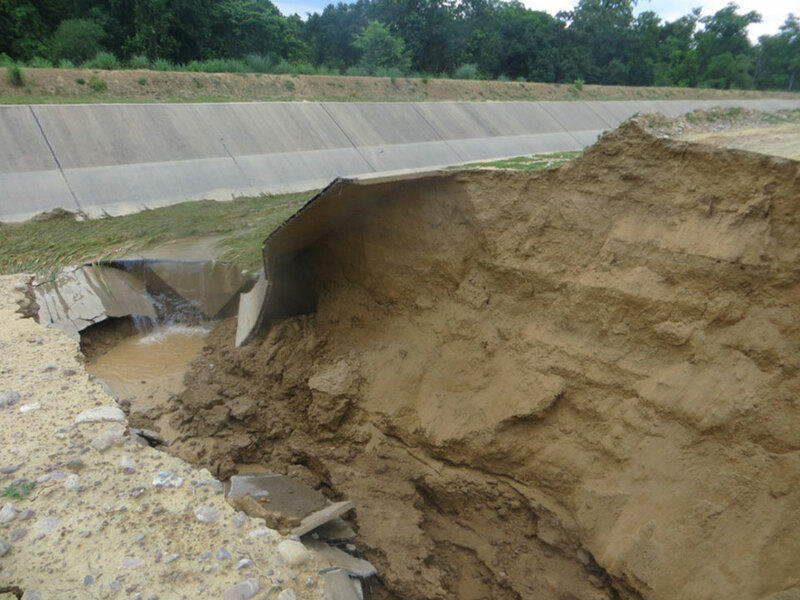 BANKE, Aug 15: Outsourcing of construction to other companies by the main contractor resulted in sub-standard work at the Sikta Irrigation Project, according to locals. CTC Kalika Construction, the main contractor, took commissions from the other companies for outsourcing the work to them. Construction of the Sikta main canal had begun in 2009 and was completed in 2015. Locals said Kalika Construction outsourced most of the work on the main canal in return for hefty commissions. This resulted in shoddy work and the subsequent collapse of the main canal during testing. Former minister for agriculture Prem Bahadur Bhandari, who is a local of Raptisonari Rural Municipality, Kanchanpur, said the main contractor outsourced the canal work to four different individuals. “Although only one company is supposed to work on the project, the main contractor outsourced the work to four different companies for the sake of commissions. This inevitably led to poor quality work and the canal collapsed on multiple occasions during testing,” he said. While work on the Rs 8 billion Sikta project was ongoing, Kalika also secured the Rs 950 million contract for the Kohalpur-Ranjha road. Locals said the contractor extracted stones and rocks from around the canal site to save costs. They then used the stones on the road project, leaving the soil around the canal structurally weak. Locals suspect this also played a big part in the canal’s structural failure. An amount of Rs 14.7 billion in taxpayer money has already been spent on the project. Locals have been complaining of large-scale corruption. An investigation team comprising representatives from the CIAA, energy ministry, and agriculture ministry has been formed to investigate the irregularities. But the locals said the investigation team has been formed only as a formality and they believe no action would be taken.